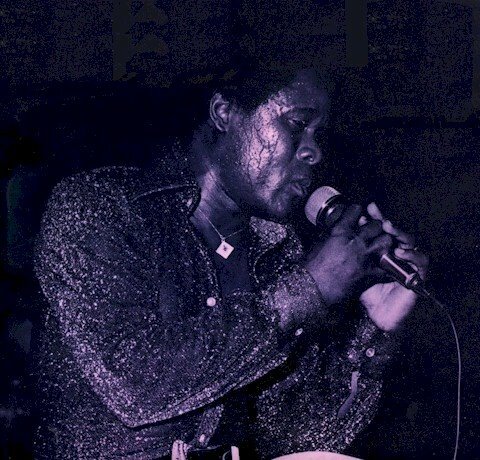 Listening to Oliver de Coque for the first time in 1984, I was made aware that there was a whole lot more to Nigerian music than King Sunny Adé and Fela Anikulapo-Kuti. De Coque, born Oliver Sunday Akanite, passed away of a heart attack on Friday, June 20, joining in death his colleagues Sonny Okosuns (who died only in May), Stephen Osita Osadebe, Nelly Uchendu and Warrior. With his passing, Nigerian highlife music, on life support for the last twenty years, has sustained a mortal blow. It's doubtful that anybody, or anything, can take his place. De Coque hails from Ezinifite, Nnewi South LGA, Anambra State, and got his musical start in 1965 at the age of 17 playing ekpili, a form of Igbo traditional music. In 1970, following the defeat of the Biafran war of independence, he got a job playing with a Lagos group, Sunny Agaga & his Lucky Star Band. 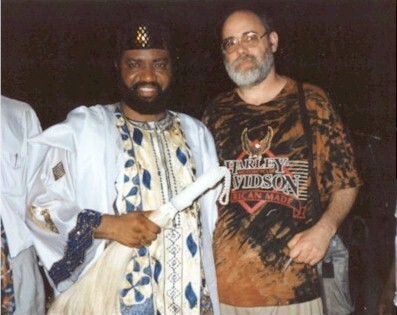 Shortly after he engaged with Jacob Oluwole & his Friendly Unity Band, and was featured on their hit "Agbasisi." De Coque's stint with this group was also short-lived, and in 1973 he took up with Sule Agboola & his Moonlight Star Band. 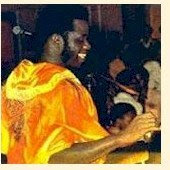 De Coque emerged as a solo artist in 1976, when his LP Messiah Messiah (Olumo ORPS 48) was released. A series of classic recordings followed, notably Identity (Olumo ORPS 108) in 1980, and a series of records in honor of the People's Club of Nigeria. His great inspiration was to combine highlife, Congolese-style guitar work and the propulsive energy of traditional Igbo music. 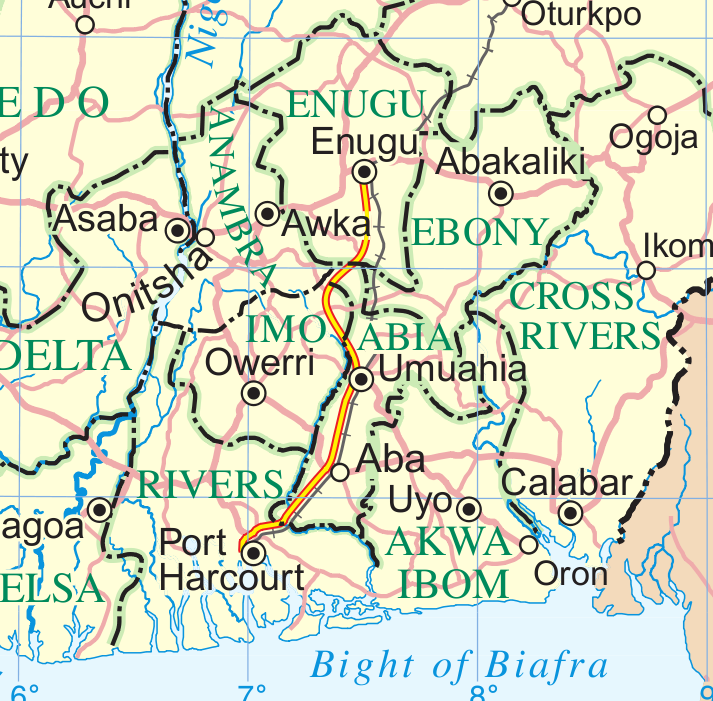 His called his style, or "system" Ogene, after the Igbo double bell. On my first day in Nigeria with my family in December 1994, who should I see but my hero Oliver de Coque striding through the mayhem of the domestic air terminal in Lagos. He gestured to his entourage to join him and they marched out onto the tarmac to board their plane. No standing on line for the Ogene King! As the years wore on De Coque's music lost much of its edge. The once-lively rhythms became flaccid and formulaic. It did not go unnoticed that De Coque seemed amenable to singing the praises of anybody with money or power, exemplified above all by his obsequious 1996 cassette Democracy (Ogene ORMC 15), a tribute to Sani Abacha, the stupidest and most venal of Nigeria's military rulers! Still, still. . . the last time I saw De Coque was proof positive, in my mind at least, that the guy still possessed the old magic. The occasion was a Nigerian Independence Day concert in Chicago. It was 2000, and it was one of the last shows at the old, fabled Equator Club, in fact it may have been the last show. There was an air of impending doom. The toilet in the men's room was stopped up and the floor was covered with raw sewage. The first thing De Coque did on taking the stage was denounce management for the cheap sound system they had provided. I had a feeling the owner was a couple of steps ahead of the creditors - he was nowhere to be found. For all that, it was one of the most electric concerts I've ever been to. From the moment De Coque touched his guitar he had the crowd in the palm of his hand with stirring renditions of his hits: "Nwa Bu Ife Ukwu," "Identity," "People's Club of Nigeria" and many more. Igbos dressed to the nines jumped up on stage to spray the musicians with money. A young lady in a short, short dress and no underwear was dancing her head off, every now and then bending over to give everybody a show. It was a wild and crazy scene. Afterwards Priscilla and I chewed the fat for a while with Oliver and his brother Eugene. He remembered us from that appearance in Awo-Omamma and I had him autograph the picture we had taken there. I gave him a printout of the Oliver De Coque discography I had posted on the Internet and he was very excited that someone in America had actually taken notice of his work. I remember thinking that here was one of Africa's greatest guitarists, and who knew it? Where was the justice? In the end De Coque's legacy was tarnished by his embrace of some of the more negative aspects of contemporary Nigerian society: showboating, toadying to those in power, and worshiping money above all. Tarnished, but not erased. Nothing can eliminate the power of his guitar and his words. Once again many thanks to Priscilla for her interpretations of these lyrics.